Earlier this year, Oreo invited fans to guess a mystery flavor that they put out for a limited time. Now, they've revealed the Oreo mystery flavor as Fruity Pebbles. 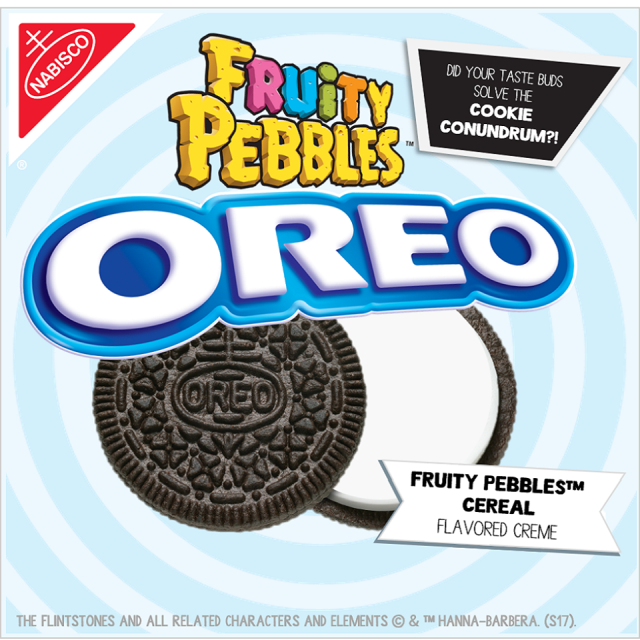 Specifically, the flavor featured chocolate Oreo wafers with a white-colored (to maintain the mystery), Fruity Pebbles cereal-flavored creme. Personally, I though it tasted like bubblegum but there you have it.